Staying within the set budget and getting all you need is possible. 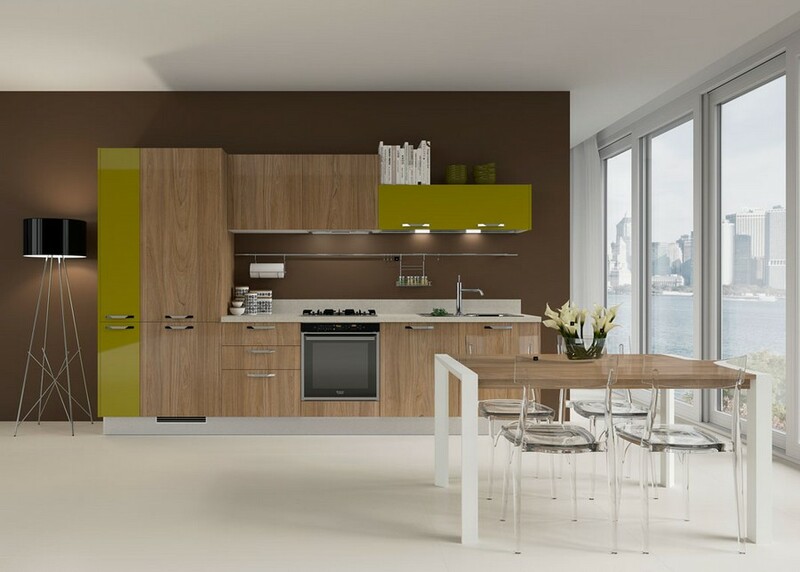 Before ordering new kitchen cabinets you should clearly realize what you can’t do without and what you can sacrifice within the limits of your budget and room, in which you’d like to fit new furniture and appliances. The simpler the structure of kitchen modules is, the cheaper the whole set in general will be. 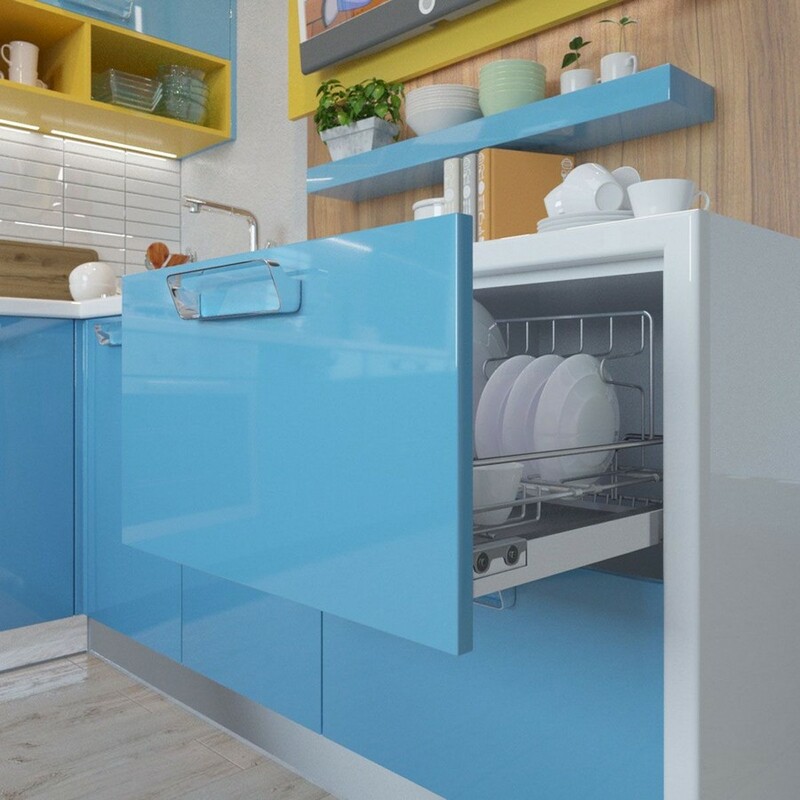 So, it’s worth saying goodbye to curved cabinet doors and drawers fronts, panelling and aluminum rims, which add a few hundred dollars to your total kitchen price. Of course, the easiest and most logical solution to cut your spending significantly is to save on materials. The lowest price segment is represented by chipboard and more eco-friendly MDF coated with film. 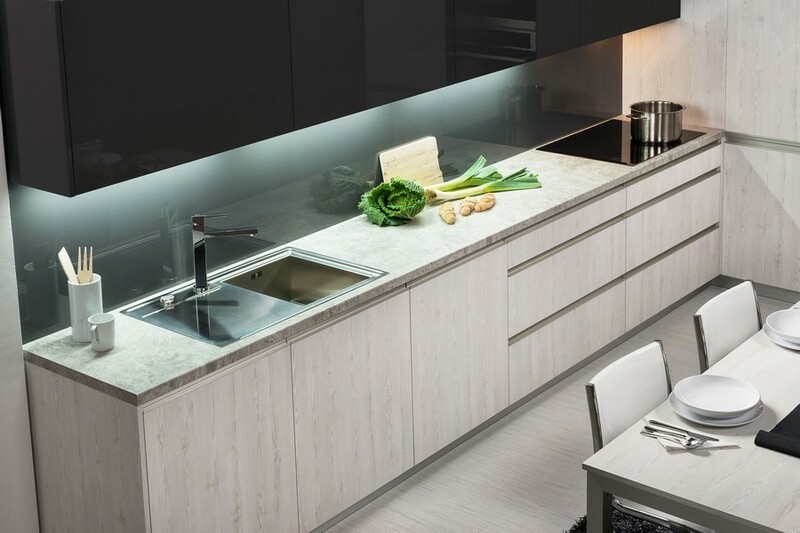 A worktop in laminated wood chipboards is several times cheaper than a composite stone countertop. It’s always more economical to order one 90-cm-wide module than two similar 45-cm-wide elements. 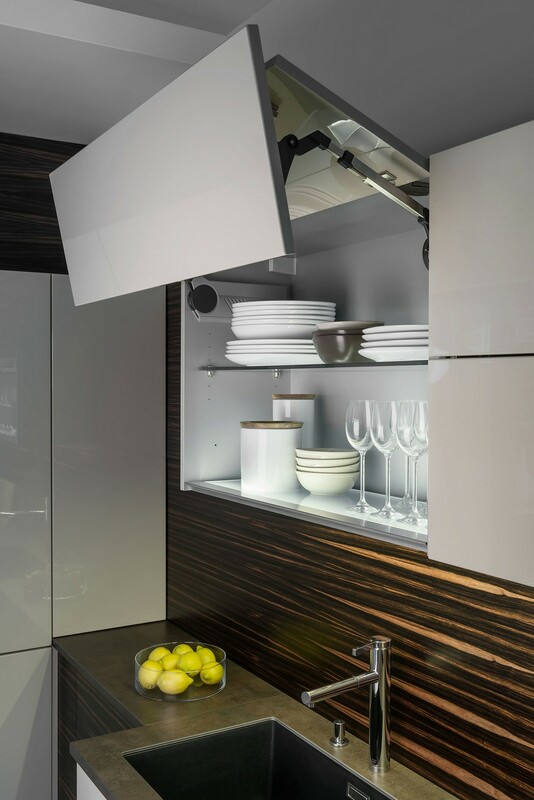 At the same time in wider cabinets you can put more appliances and utensils. 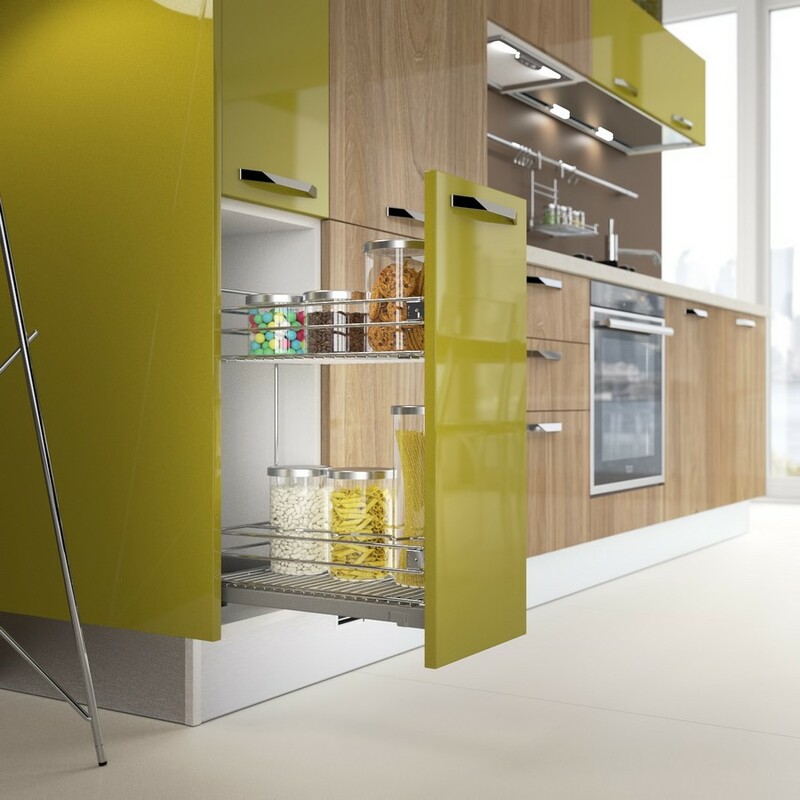 The more drawers, pull-out units and swivel elements your kitchen furniture has, the more expensive it will be. However, giving them up completely means depriving yourself of elementary daily convenience. 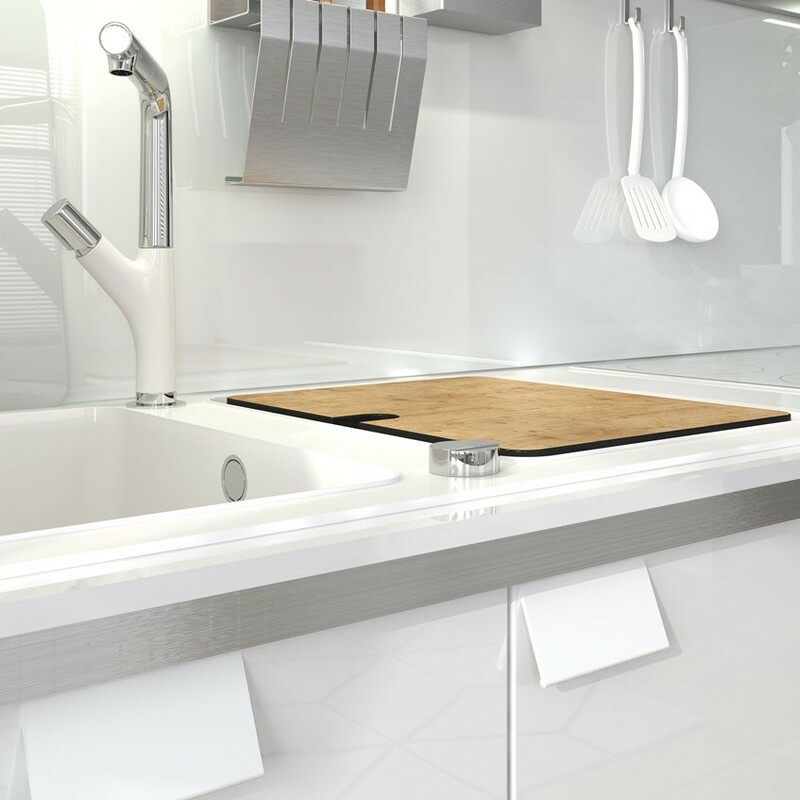 So, a compromise solution is to mix mobile and static elements in your kitchen set. 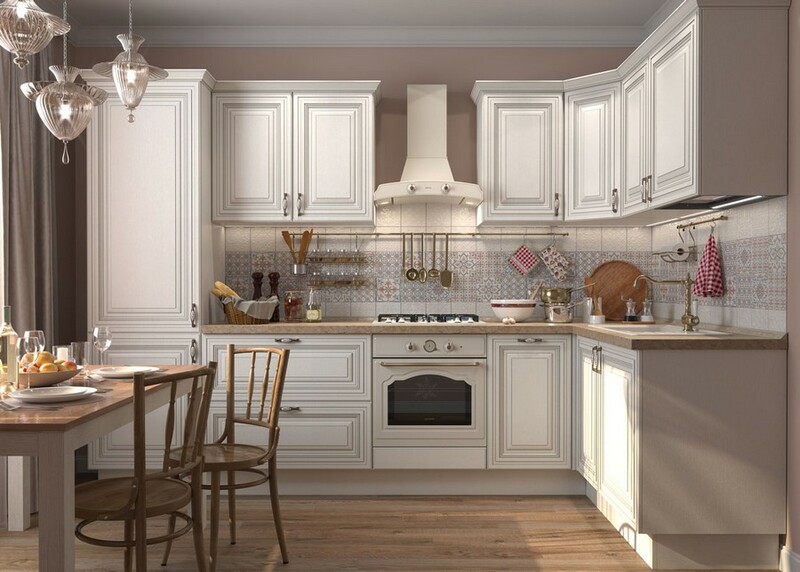 Top wall cabinets with traditional doors are far cheaper than lift up mechanisms. But in some cases (for instance, in side cabinets adjacent to walls) you simply can’t do without lift-up doors. The price of top cabinets is in direct proportion to their height: the taller the cabinets are, the higher their price is. 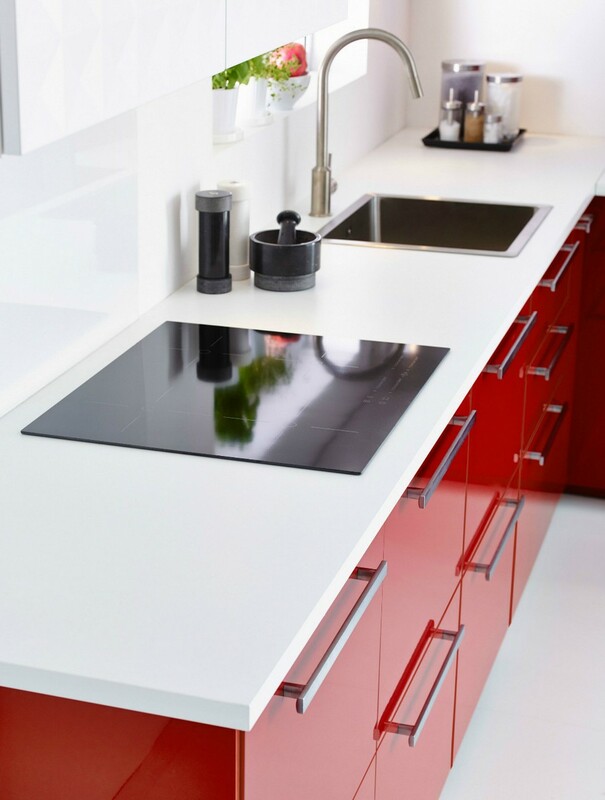 So if you want to cut your expenditures select low cabinets or mix tall and low units. The “stuffing” of cabinets, i.e. 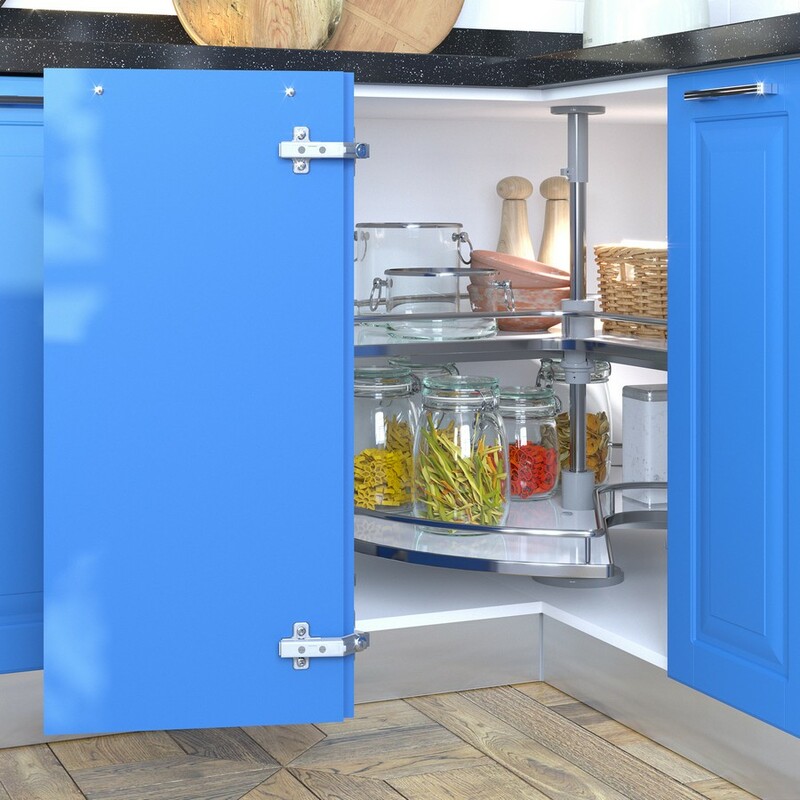 organizers, drawer dividers, cutlery trays and so on, can be made from high quality plastic, which is far cheaper than steel, aluminum and wood that kitchen furniture manufacturers offer. We hope that these simple tips will help you save money on something you have long dreamed of!